Is a writer "born" or "developed over time?" I don't have an answer for that - perhaps you do. What I do know is that there are several questions that authors invariably get on book tours. For example, "How long does it take you to write a book?" "Is your protagonist really you in disguise?" "Where do you get the ideas for your novels?" And then there is, "When did you first know you wanted to be a writer? What were your first efforts?" And that is the subject of our Rogue articles right now. So I had to sit down and try to remember. Now that I think about it, I confess that I started writing poetry as a child. I thought I had saved some of it. Sure enough, when I rummaged around in my files, I pulled out a poem I wrote about my first "serious" boyfriend and thought I was in love. You ask - how do I love you? Please let me count the ways. I love you as the stars love nights and rainbows love the days. Or as the rosebud loves the Spring and then, so much, much more. And it went on from there. But note -- I was only 14! 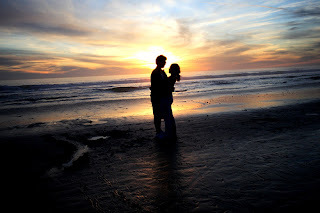 I have to admit that I have always been a sucker for romance, in film (love the Hallmark Movie Channel) as well as in novels. While I did end up writing dozens of (hopefully better) poems for friends and family birthdays, anniversaries, and even memorial services, I didn't have time to even think about writing a book during my career in broadcasting or serving in The White House. In both of those jobs, I was writing "non-fiction" (if you can call every news story "non-fiction" - at least we tried our best). And there was always a premium on brevity -- writing a 20 second live, or short narration for B-roll. At the White House, I had to put together briefing papers for the Press Secretary (I was his Deputy at the time) and later talking points for President Reagan. (Imagine outlining our Middle East policy in a one-pager! I had to do that while also writing summaries of dozens of other domestic and foreign policy positions as preparation for his press conferences). After I left The White House I did think about writing a novel. Once again, I admit my first endeavors revolved around romance. In fact, I sat down and wrote two romance novels titled The Corporate Wife (had experience in that role) and Built to Code (having just finished building our vacation house). I went to writers' conferences and learned I had to snag an agent. Alas, after dozens of attempts and dozens of "I'm sorry but this story does not fit my list" replies, I shoved both manuscripts under the bed and started over. protected 18 acres on the planet" (except for a few fence jumpers now and then). 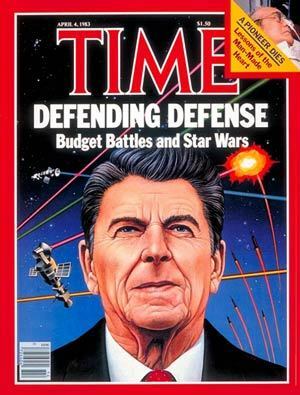 I was so impressed with one of President Reagan's new policies -- the announcement of his "Strategic Defense Initiative" (missile defense or "Star Wars") -- I knew I wanted to write a story about it. So I created a character, Dr. Cameron Talbot, who works for a defense contractor and invents a breakthrough technology for a defense against cruise missiles. (And no, my protagonist is not me in disguise. She's much smarter). The title is CHECKMATE, and in this novel, as in all of my subsequent books, certain aspects of the stories ended up coming true (which, as I believe I've mentioned in previous posts, kind of freaks me out). Number three, FINAL FINESSE, was, once again created when I reflected on another White House adventure. This time to South America. 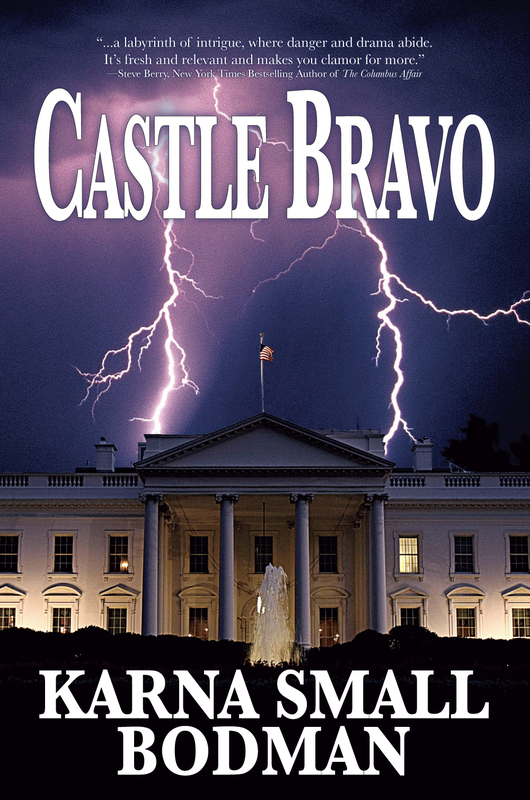 Then my latest thriller, CASTLE BRAVO, was "born" when a Major General explained what really kept him up at night - the threat of an Electro Magnetic Pulse - or "EMP" attack. When I gave a talk about it to a terrific book club here in Florida last week, I entertained many of those same questions I mentioned at the outset, including "When did you know you wanted to be a writer?" I smiled and thought about sitting at my desk here in Naples, doing research, creating characters and writing chapters while enjoying a chance to stay cool in my office. Yet I was still able to gaze out my window at a lovely view. So I replied, in half-jest, "I guess it was when I figured out I have a love affair with the indoors." Now, what do you think? Can you answer the first question: "Are writers born or developed over time?" Please leave a comment below. All of my Rogue colleagues would enjoy reading your answers. To answer your question: I think it's a combination. There has to be an inborn interest in stories and words - but that interest has to be developed. It's fascinating how you developed into a novelist - how the first thing you tried to write was not about your experiences in the White House. You proved the old saying - write what you know. What a wonderful, inspirational story, Karna. I love the layers, the complexity, of your experience. Thank you so much for telling this real-life tale! As long as I can recall, I have been writing. As a kid, I'd start (then never finish) science fiction stories, because that was what I read. In high school, I actually wrote a play. Never produced, but I loved the experience of doing it. I got serious in college, zoning out in calculus class (I was an astronomy major) and finding myself writing stories instead of paying attention. I flunked calculus. I was at a crossroads. Keep trying to push through the math, or follow my other interest, storytelling. I was at the observatory one night engaged in the tedious task of using a high-powered microscope to make minute measurements of star movements off glass plates and recording the data on punch cards. My roommates were out partying. The next day I headed to the cooperative education office and landed an interview for a newspaper writing job. I got it and then spent the majority of my adult life writing and editing for newspapers, which I loved. Like Karna, I took a brief foray into politics, working for a congressman as his press secretary for about six months before I was fired. I sucked at it. But it was a blessing. Ever heard of AbScam, the big FBI sting that nabbed a congressman stuffing buckets full of cash into his overcoat? That was my guy. A Republican from central Florida, he went to prison. I went to the Miami Herald, and, finally, decided to do what I had set out to do in the first place: write books. Wish I had done it sooner. Two down, many more to go. Thankfully I plan to live forever. The secret is broccoli. Eat enough and you never die. If you die some day, don't blame me. I told you. I bet you have some stories to tell. Love your journey to writing. Congrats on your second career. I'm going to go out and check out your books! I agree with Sandy Manning: writers must have the right DNA, and then they must practice. My wife, Gayle Lynds, illustrates the point: it took years of writing, first as a journalist, then producing literary short stories, before she honed her craft and started producing her spy thrillers. The same is true of sports: Tom Brady and Sandy Koufax, whose development into superstars took years of work. And music: "How do I get to Carnegie Hall?" First, you have to be born a musician. Then, "Practice, practice, practice." Fascinating account, Karna. Your writing inspiration certainly has been far from average. Best of all, you've put it to good use. And BTW, I especially loved your last line. My sentiments, exactly. to read about subjects that you have woven from actual experiences and your creative mind...it never stops. I laughed out loud over the sappy poetry. I have some similar poems lying about. Not sure I'd have the guts to share, but thank you! You made my day. Oh how I loved reading this! Writers, I think, are writers when they have that spark inside they want to share with the world. They build on that, experience and explore life and want to divulge their discoveries. I've written poems and stories since I could feel an emotion and jot it down on paper. Writing for some is, I think, a way to express oneself early on in life and it just develops into something more. Especially when you live through what others can learn from and grasp ah ha moments just reading your words.